Left to Right: Daniel wears shirt Shirt Studio, jacket Pence 1979, military pants Fase, and backpack GCDS. Conlan wears striped shirt Canali 1934, t-shirt American Vintage, vest Pence, pants Eleventy, hat Stetson, and jacket Off. Felipe wears velvet jacket L'Impermeabile, shirt Shirt Studio, and pants GCDS. Leander wears all clothes Angelos Frentzos, belt bag GCDS, and belt Sergio Gavazzeni. Victor wears polo Eleventy, jacket Canali 1934, and pants Eleventy. Stylist Alessandra Bloom dreams up a charming new story for fall. Embracing neutrals, Bloom collaborates with photographers Teodora Petrovic and Kristijan Vojinovic of Week Is Over Studio. Perfecting a rugged fall uniform, scout style is the perfect vehicle. 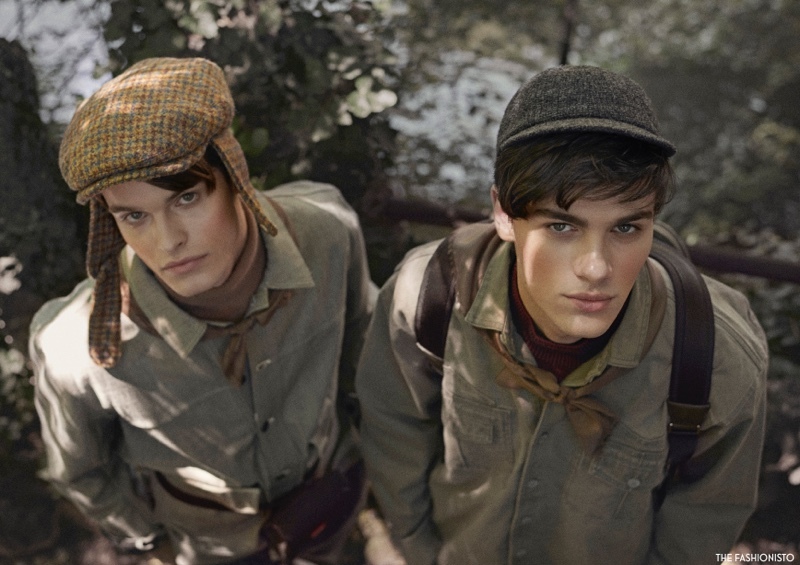 Venturing outdoors, we are treated to a standout wardrobe that features brands such as Eleventy, GCDS, and Canali 1934. 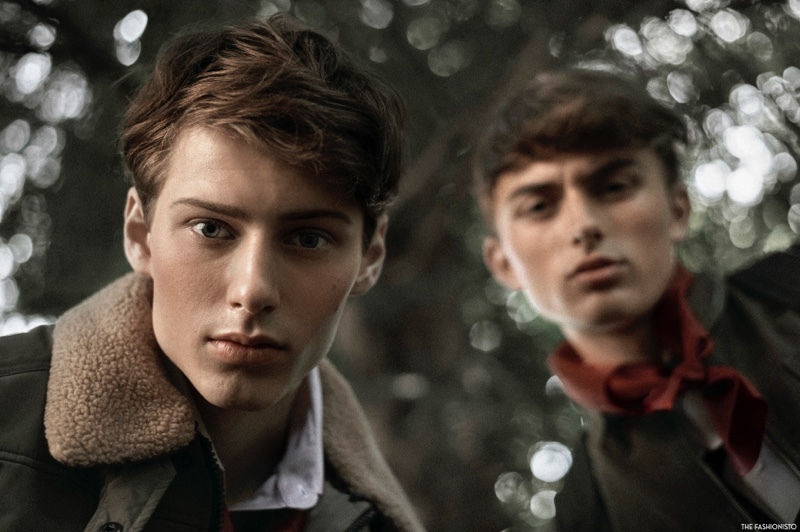 Showing a scout's honor, models Jonas Halvorsen, Leander Hahn, and Daniel Jesus come together from Crew Models Management. Next model Daniel Wassernaar, Fashion Milano's Alexandru Gorincioi, and Major's Kaan van der Valt are also in fine form. Meanwhile, we connect with Victor Kusma and Mika Aaron of WhyNot. Finally, Felipe Rocha, Conlan Munrai, Geron Nord, and Nicolai Otta of I Love Models Management join our squad. Felipe wears velvet jacket L'Impermeabile, shirt Shirt Studio, pants GCDS, socks Nonna Agnese, and boots Lumberjacket. Left to Right: Felipe wears velvet jacket L’Impermeabile, shirt Shirt Studio, pants GCDS, socks Nonna Agnese, and boots Lumberjack. Conlan wears striped shirt Canali 1934, t-shirt American Vintage, vest Pence 1979, socks Nonna Agnese, hat Stetson, boots Lumberjack, and jacket Off. 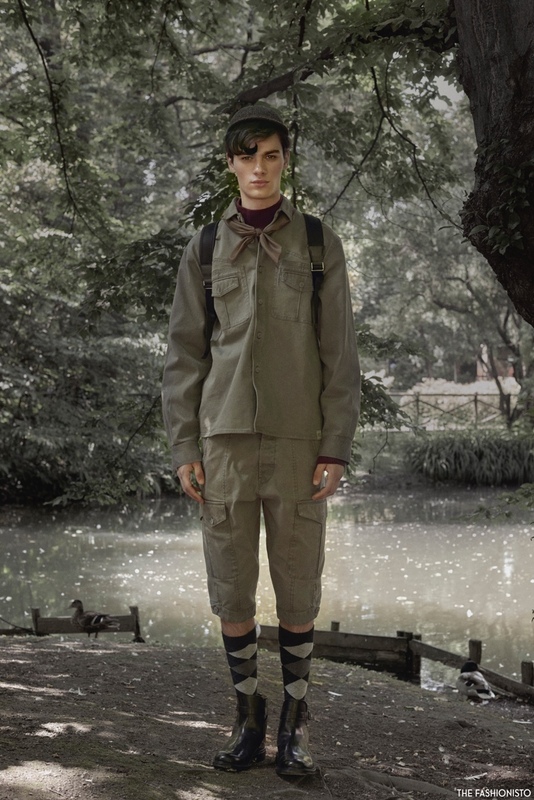 Victor wears polo Eleventy, jacket Canali 1934, pants Eleventy, socks Gallo, and shoes Canali 1934. Daniel wears shirt Shirt Studio, jacket Pence 1979, hat Montegallo, and pants Fase. 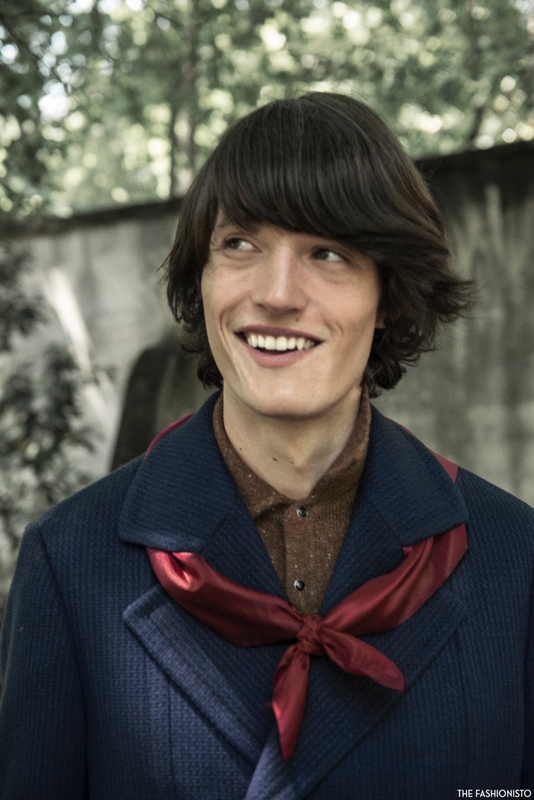 Felipe wears velvet jacket L’Impermeabile and shirt Shirt Studio. Left to Right: Victor wears polo Eleventy, jacket Canali 1934, pants Eleventy, socks Gallo, and shoes Canali 1934. Daniel wears shirt Shirt Studio, jacket Pence 1979, hat Montegallo, and pants Fase. Conlan wears striped shirt Canali 1934, t-shirt American Vintage, vest Pence 1979, socks Nonna Agnese, hat Stetson, boots Lumberjack, and jacket Off. 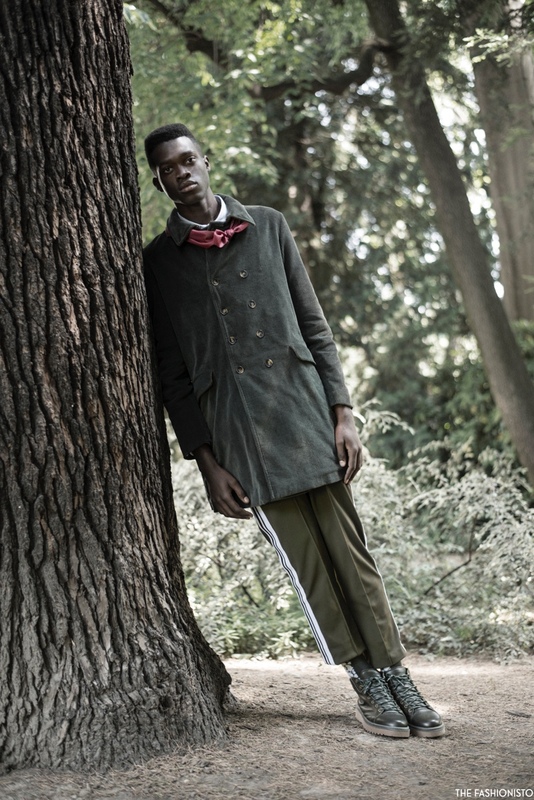 Felipe wears velvet jacket L'Impermeabile, shirt Shirt Studio, pants GCDS, socks Nonna Agnese, and boots Lumberjack. Leander wears all clothes Angelos Frentzos, hat Montegallo, belt bag, and boots GCDS. Jonas wears all clothe's Eleventy, socks Calzedonia, boots Lumberjack, and backpack Eleventy. Victor wears polo Eleventy and jacket Canali 1934. Left to Right: Conlan wears striped shirt Canali 1934, t-shirt American Vintage, vest Pence 1979, pants Eleventy, socks Nonna Agnese, hat Stetson, boots Lumberjack, and jacket Off. Daniel wears shirt Shirt Studio, jacket Pence 1979, hat Montegallo, and pants Fase. Left to Right: Daniel wears shirt Shirt Studio and jacket Pence 1979. Conlan wears shirt Canali 1934, t-shirt American Vintage, and jacket Off. Daniel wears shirt Shirt Studio, jacket Pence 1979, and hat Montegallo. Left to Right: Nicolai wears turtleneck Eleventy, jacket Fase, belt bag GCDS, and jeans Eleventy. Alexandru wears turtleneck Canali 1934, jacket Wrad, hat Stetson, and backpack Canali 1934. Alexandru wears turtleneck Canali 1934, hat Stetson, boots Church's, backpack Canali 1934, pants and jacket Wrad. 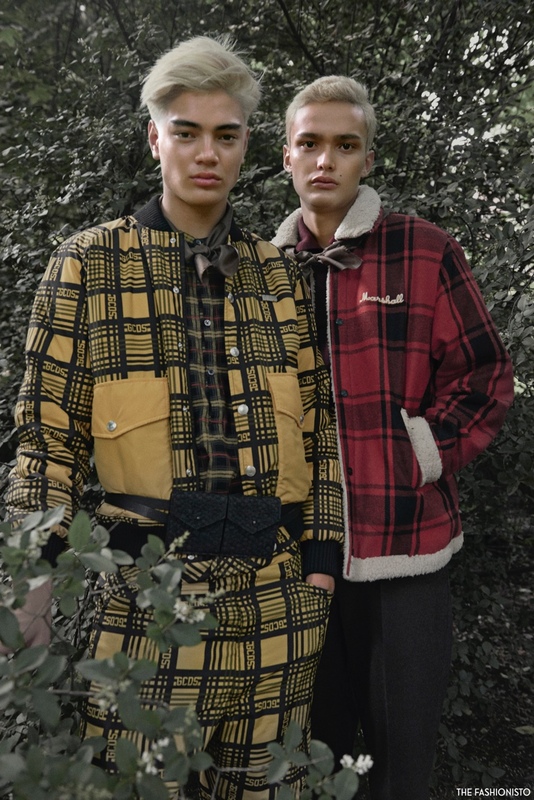 Left to Right: Geron wears check shirt Pence 1979, jacket and pants GCDS. Mika wears polo Canali 1934, jacket Franklin & Marshall, and pants Canali 1934. Mika wears polo Canali 1934, jacket Franklin & Marshall, boots GCDS, and pants Canali 1934. Kaan wears all clothes Angelos Frentzos, boots GCDS, hat Montegallo, and accessories Nomination. 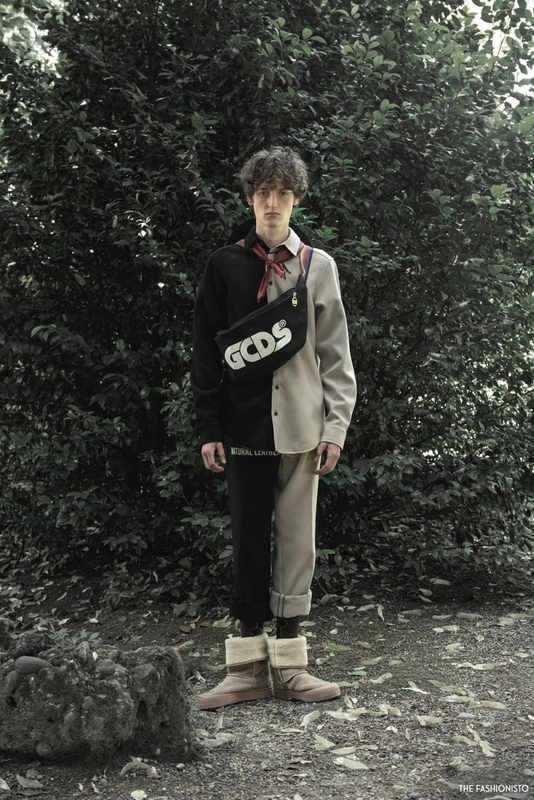 Geron wears jacket GCDS, check shirt Pence 1979, and socks CK. Victor wears polo Eleventy, jacket Canali 1934, pants Eleventy, socks Gallo, and shoes Canali 1934. 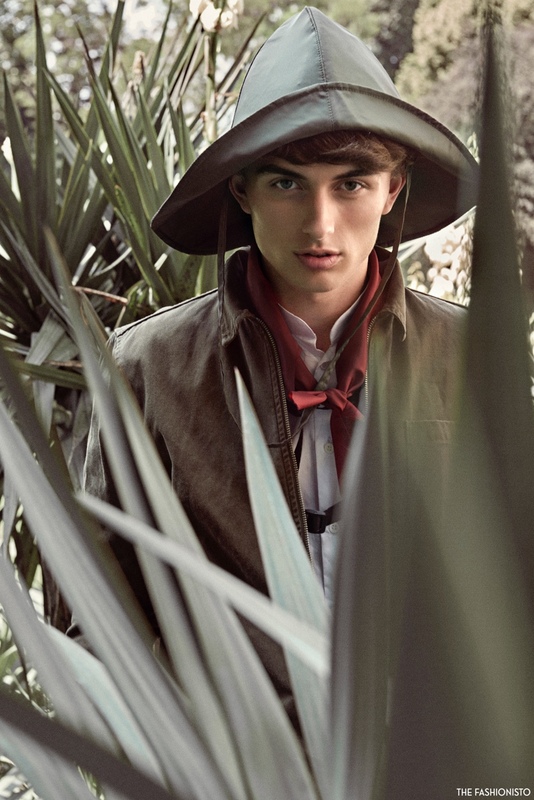 Kaan wears all clothes Angelos Frentzos, hat Montegallo, and accessories Nomination.